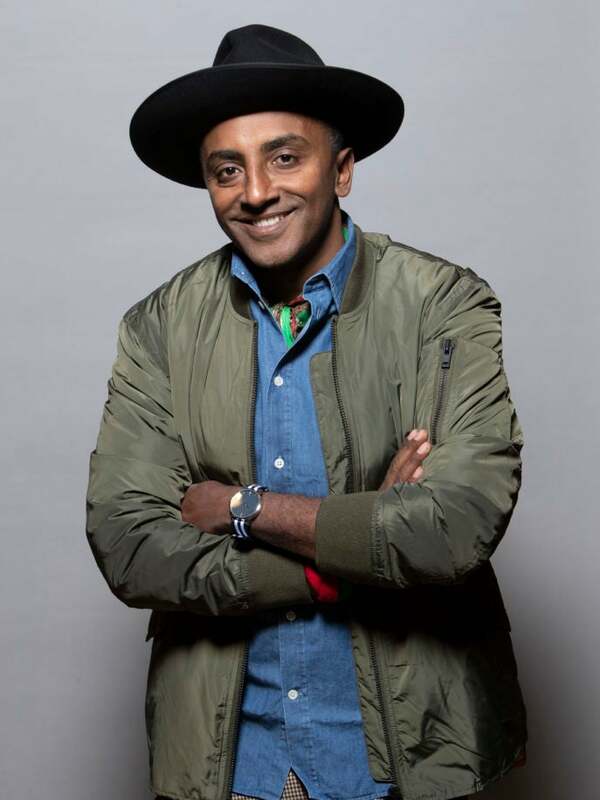 Renowned Chef Marcus Samuelsson is shedding a positive light on immigrant culture in the best way he knows how: through delicious food. In his new hour-long, weekly PBS show, No Passport Required, Samuelsson travels to popular cities across the United States and dives into cultural food experiences. Along the way, he’ll visit an Indo-Guyanese community in Queens, a Haitian community in Miami, and an Ethiopian community in the nation’s capital, but in the first episode airing Tuesday, July 10th, Samuelsson heads to Detroit, Michigan to explore the robust Middle Eastern enclave that resides there. The Midwestern city is most-commonly recognized for Motown and the music of legendary R&B and Jazz singers. Often overlooked is the fact that Detroit serves as the Arab capital of North America. Samuelsson’s main focus on this trip is to highlight the diverse Middle Eastern food culture, which he does in speaking to a Syrian poet-turned-rapper about falafel, and attending a 700-person Lebanese wedding. But in the metropolis that ranks among the top U.S. cities with the highest percentage of African Americans, Samuelsson also chooses to highlight the intersection of two prominent cultures. With this show, the acclaimed restaurateur and owner of Harlem’s Red Rooster, is in part hoping to challenge the negative portrayal of immigrants in the media and remind viewers that beyond the harmful headlines are rich communities of people who have left their native homes to improve their lives in America. Samuelsson himself was born in Ethiopia before moving to Sweden and then settling in New York. He uses his immigration experience to connect with the various people he encounters on his six-city food journey across the United States. Other stops include New Orleans, Louisiana, Queens, New York, Chicago, Illinois, Miami, Florida, and Washington, D.C.
No Passport Required is an Eater production in partnership with PBS, and premieres Tuesday, July 10th on PBS at 9 p.m. ET.